You may have come across this brand definition: “A brand is a promise.” I’ve heard this definition perhaps a thousand times, and it remains as woefully insufficient as it did the first time. In the first place, not every brand has, or should have, an overt promise. Every brand should have a positioning, but they’re not the same thing. The notion of a promise gets especially dicey when you’re talking about categories and brands that are rooted primarily in emotional benefits. For example, Coca-Cola is one of the most beloved brands on the planet; can you nail down its “promise”? (I can’t.) How about fashion brands? Don’t they all, on some level, promise self-esteem? And if they all promise the same thing, what’s the real value of the promise? 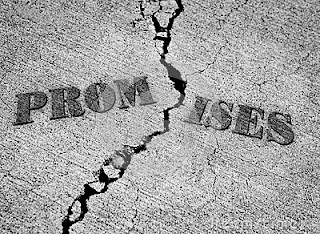 Secondly, and more importantly, promises are a dime a dozen. It’s one thing to make a promise, and another thing entirely to keep it. As consumers, we know this every time we endure a lousy service experience. The trouble with defining a brand as a “promise” is that a promise is just something you say. And branding’s not about saying. It’s about doing. That’s where the real work is. So your brand may start with a promise (or it may not), but that’s neither the whole deal nor the core of your brand. So if a brand is not a promise… then what exactly is a brand? I’ll share my definition in next week’s post.